ME Conferences organizes a series of International Pathology Conferences globally every year with the support of 1000 more scientific societies and Publishes 700+ Open access journals which contains over 100000 eminent personalities, reputed scientists as editorial board and organizing committee members. 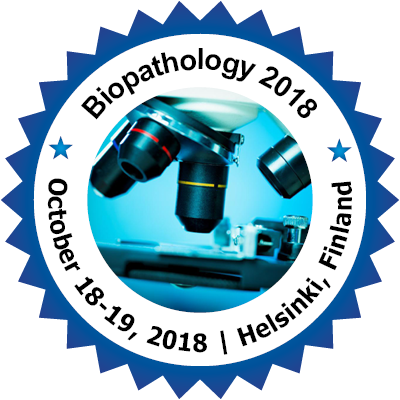 Organizing committee of “European Pathology and Infectious Disease Conference” extends a warm welcome to all the distinguished Nobel laureates, speakers, researchers and delegates from Pathology and its allied fields; Pulmonary pathology, Epidemiology, Sexually transmitted infections etc. from across the globe to gather under a single roof to discuss, share their knowledge leading to scientific and business collaborations. The Congress includes plenary lectures, symposia, workshops, poster and young researcher sessions from experts in the field. Special interest and theme of the conference is “Join global efforts in challenging Infectious Diseases” which aims to bring together Nobel Laureates, leading Physicians, Surgeons, Professors, Scientists, Students and delegates to exchange, share and debate their views and research results about all the growing aspects of Biopathology. Join us in these two intensive and interesting days for discussing contemporary challenges and new advancements in Pathology. We invite you to contribute and help to shape the event through submissions of your research abstracts, papers and e-posters. Also, high quality research contributions describing original and unpublished results of conceptual, constructive, empirical, experimental or theoretical work in all areas of Biopathology are cordially invited for presentation at the conference.